I hope you all are fairing well. This month is all about roots, ancestors, and connection. Family is a touchy subject for many. Although as an institution families are one of the most important influences on who we are, what we believe and how we relate to other people, any thing with that much power will have a shadow element to it. Just as family and lineage can be the site of some of the most amazing love, companionship and life experiences it can also be the darkest space of pain and misery. It is understandable then that there are some who have no interest in connecting with their ancestors or those who came before them. I will always recommend that we seek counseling and professional assistance for unresolved family/personal issues, pain, trauma, and abuse. There is help out there and as much as I love and advocate for the power within magic and metaphysics, all the crystals, incense, and sage in the world can’t heal some wounds. For those who do feel called or prepared to connect with their ancestors let’s talk ancestor reverence. Honoring ones family and ancestors is a common practice among many cultures. As such it’s important to respect others ways so here I will provide 5 ways to begin the journey as you will find this is a very personal highly emotional venture. 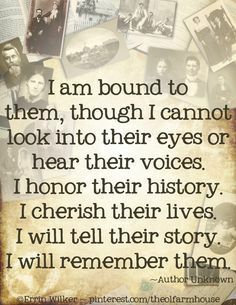 One of the first ways you can begin the process of connecting with your ancestors is by learning who they were. Make this into a family affair by gathering members together to tell stories and share memories of your parents, grandparents, great-grandparents and even older members that they may know information about. Meet individually with different family members share stories and memories. These first two options also allow for you to ask questions you may have about your families history, beliefs, and practices. If none of these are options, if you have even a little bit of information you can use public records to find out birth, marriage, death, military service, and other types of information about your family. Any county clerks office will have these records on file but access may be limited or protected. The easiest way to go through these records is through the internet if you have access. Another option is to use websites such as Ancestry.com which allow for you to search millions of public records world wide for a fee. This is an excellent resource but you will need some information such as a name, birthday, location where you know that family member lived. The second way you can begin to connect with your ancestors is through meditation. Just as you can connect with your chakras, higher power, and other spirit guides, you can connect with your ancestors. Follow your general practice to enter into a meditative state and ask for only those that are here for your highest good, in light and love to be with you. This is important because although we may want to always think the best of our ancestors truth is we all have roots in darkness and light. We must therefore be intentional with who and what we connect with. If you are aware of where your family is from locally, regionally, or nationally then you can visit those places and connect with the land there. This can lend you insights into their lives and experiences through the plants, weather, and spirit of that area. One can also participate in activities that their family members were known to do such as cooking, crafting or hobbies. Reading a book that your Grandmother loved, taking up woodworking a past time of your great-grandfather or working on puzzles with your father or mother can be perfect ways to connect with your ancestors. Recreating that same energy will activate the memories within your cells of those events. There are other ways to connect but those may be specific to your heritage and culture so if you can ask. Ask your family are there are traditions that your family or culture have followed to connect with your ancestors. That’s all I have for you all now. Later this month we will discuss ancestor altars and the significance that they hold. I hope this was helpful to get your started.